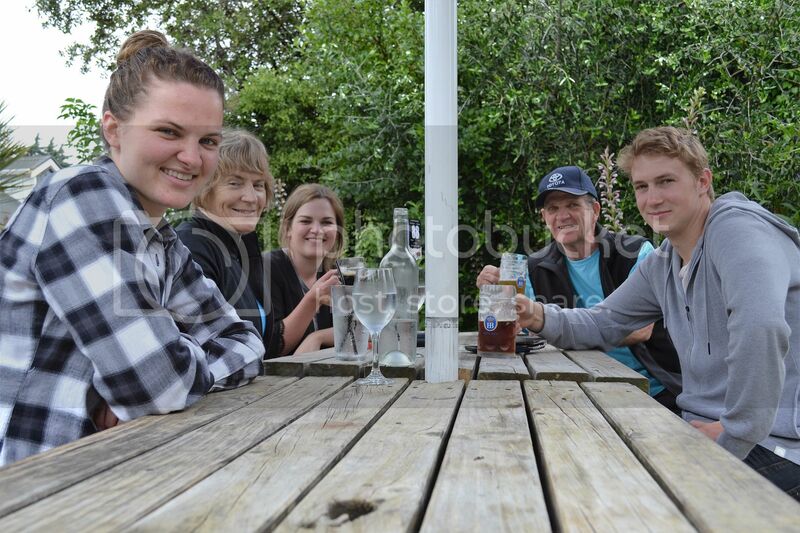 Travelled to Picton on the Interislander on New Year's Day, with Mary and daughter, Alice. Met up with other daughter , Emily, who was visiting boyfriend, Sam. 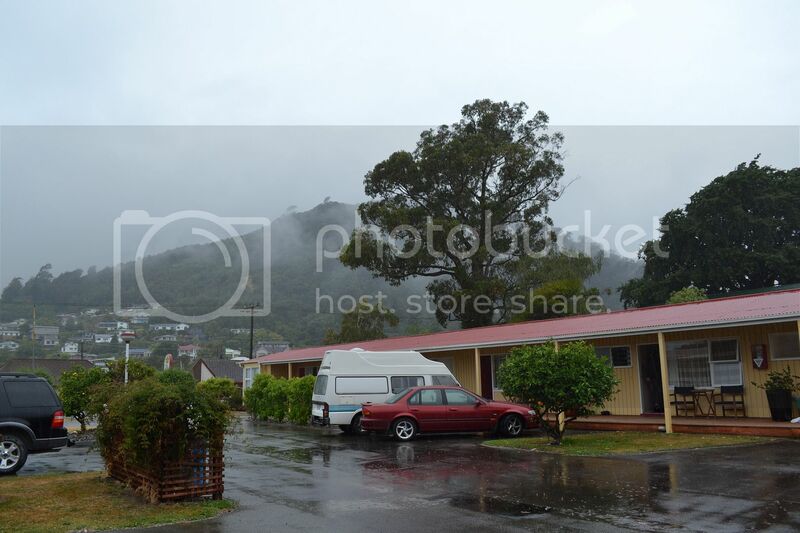 Stayed in a motel overnight and woke up in the morning to fairly gloomy conditions. 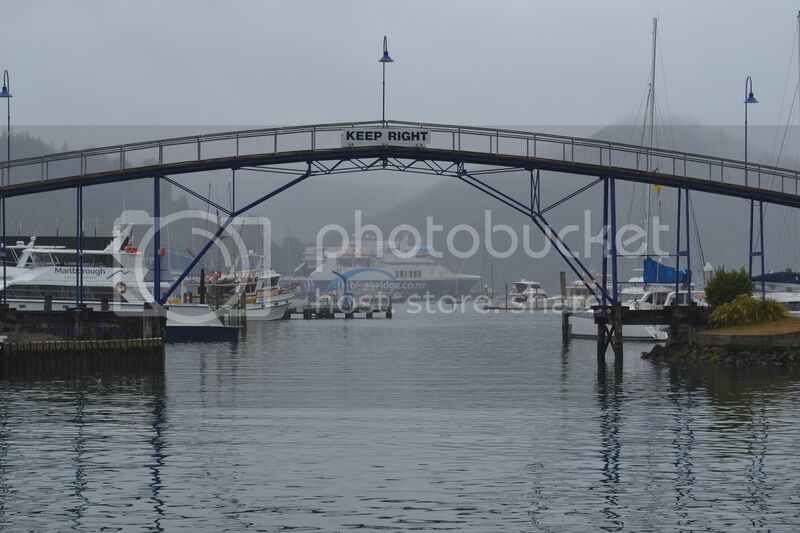 A walk to the harbour and into town was dampening. 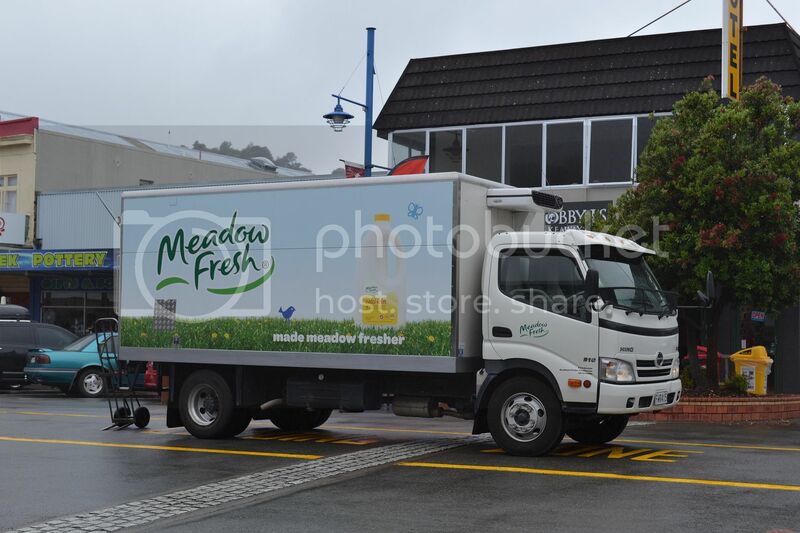 Hino delivery truck on the streets of Picton, could be almost anywhere in NZ. 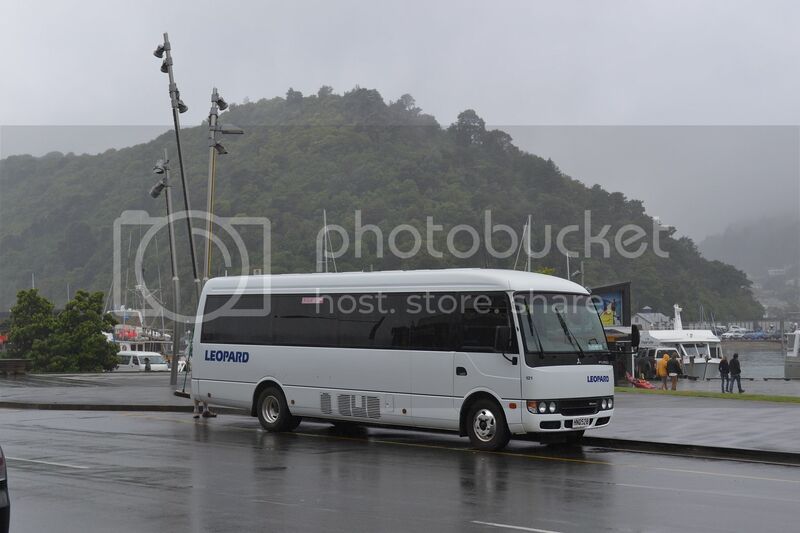 Fuso Rosa buses are becoming quite popular in NZ. 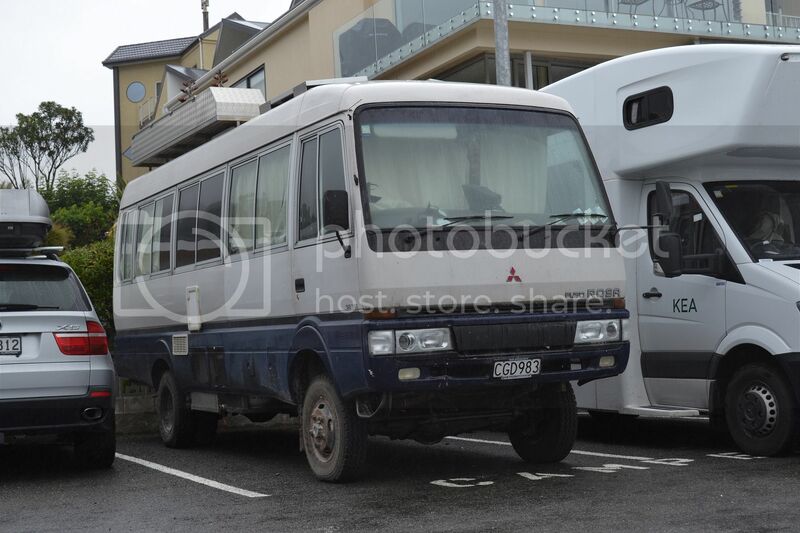 Less common is this 4WD version, being used as a camper. Looks like it could go places with the addition of some grippy tyres. The weather was considerably better when we drove through to Blenheim. Food and beer was good at Dodson Street Bistro and Ale House.